The full course is 13 minutes long and available in a number of affordable formats. The highly venomous bark scorpion can seriously harm or even kill a health adult; they are commonly found in the Southwest. 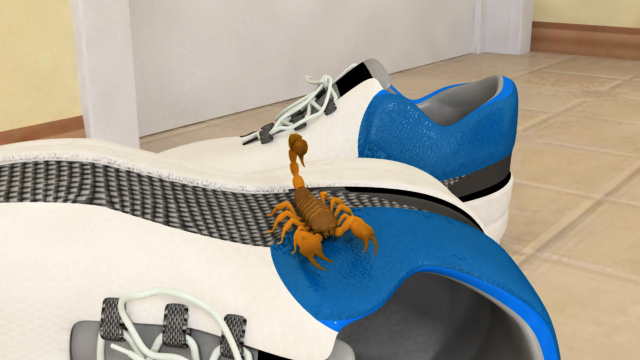 Scorpioins can sometimes climb into people's shoes or other clothing that has been left around. Scorpions can be found throughout most of the United States. However, the only scorpion commonly thought to be dangerous to a healthy adult is the bark scorpion, which is typically found in the Southwest. 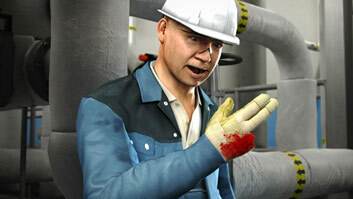 In most cases, a scorpion sting calls for only some minor first aid and perhaps some rest. But bites from a bark scorpion, or bites to children, elderly, or ill people, may require additional first aid. This course explains first aid for a scorpion bite. It also explains where scorpions live and what they look like; gives tips for preventing scorpion bites; and explains the symptoms of scorpion bites. Where in the U.S. are scorpions found? Throughout most of the U.S.
Are the stings of most scorpions found throughout the U.S. typically severe or even fatal to a healthy adult? No, in most cases, only the bite of a bark scorpion leads to a severe health issue and/or death for a healthy adult. 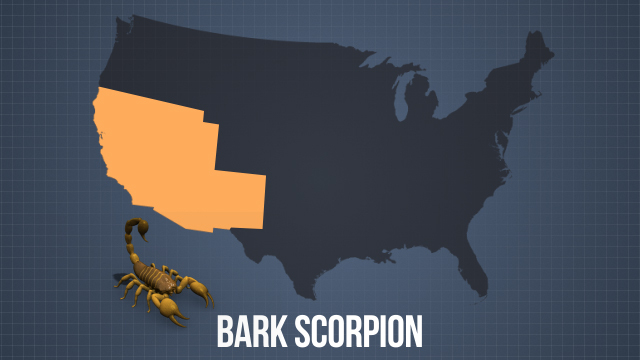 Where do bark scorpions live? What are some good ways to avoid being bitten? Practice good housekeeping and work the work area clean/tidy; wear appropriate, long clothing; avoid areas where scorpions tend to live; and be cautious and observant when working. What should a person do if someone's been bit by a scorpion? 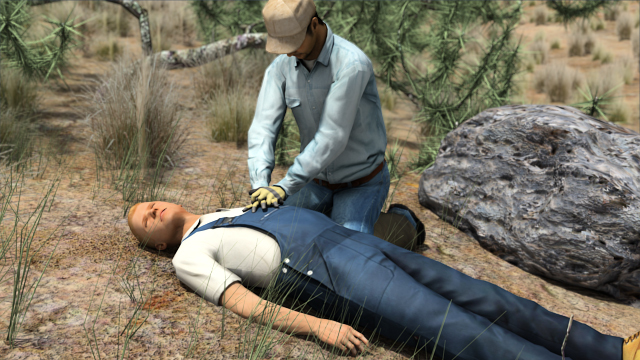 Apply first aid as directed in this course and get the person to qualified medical assistance. Scorpion stings are typically minor but can be very serious. This is especially true if the sting is from a bark scorpion, the only scorpion in the United States that can kill an adult with its sting. Bark scorpions live in the American Southwest, especially in Southern California, Southern Arizona, and Western New Mexico. In most cases, scorpion stings cause pain but only relatively minor symptoms and require only minor first aid. In other cases, however, scorpion stings cause severe symptoms and require immediately getting the person to emergency medical assistance. The best thing to do is to avoid being stung by a scorpion. 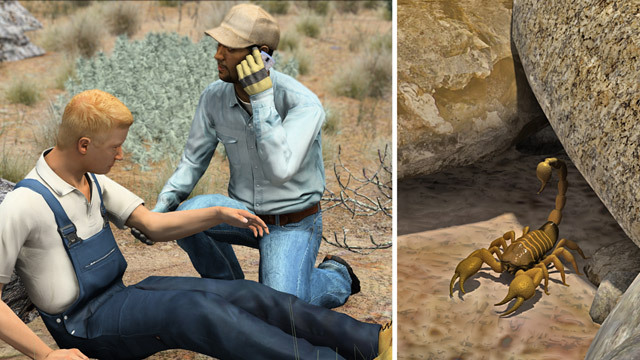 You can reduce the chances of being stung by wearing appropriate clothing and PPE, knowing where scorpions tend to live, and being alert and watchful.